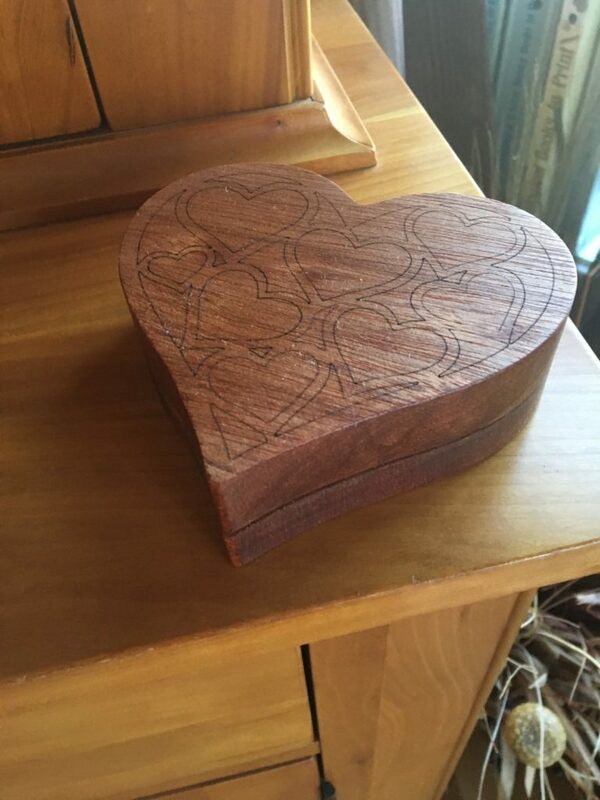 I created this heart shaped box in November 2017 and never shared it here. This box is laser engraved on my 2.5W Laser in Meranti and CNC’d inside and out. Each side takes about 8 minutes on the CNC with 4 Minutes on the laser. This is version 1.0 of the box and I think I’ll be refining the design and possibly adding more depth to it this year. This whole design was done in Vetric Vcarve including the laser toolpaths. Finish is boiled linseed oil. Box is unlined.